This beautiful Alessi olive oil taster and pourer. It was a gift from my sister, Juanita. It is in the shape of an olive and sits on an olive leaf. You can sip or pour. How cool is that? 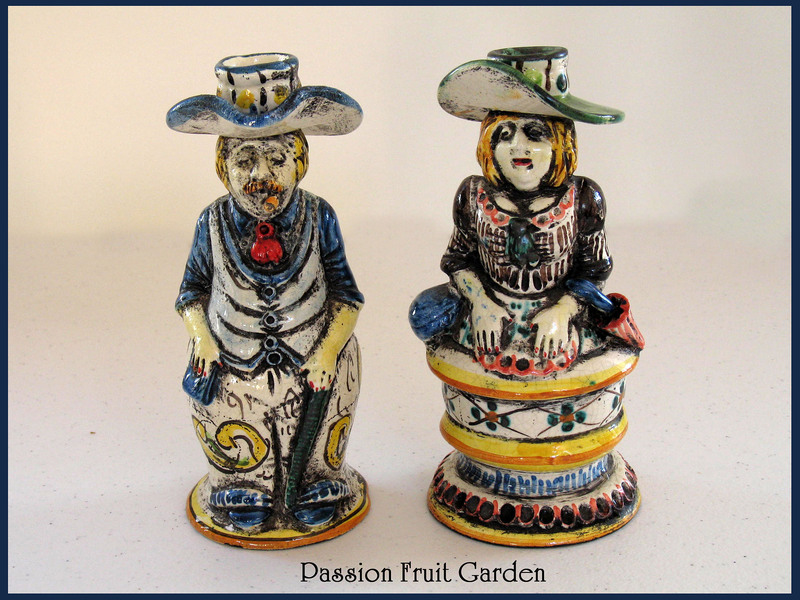 These 2 wonderful old Sicilian characters. They sit on my window sill. Their hats are hollow to hold candles (but I have never used them for that purpose). I bought them in Palermo when I was on holiday a few years back. There is no inscription on their base so I don’t know who made them. They are lovely. 2 bread stamps that Maus made. 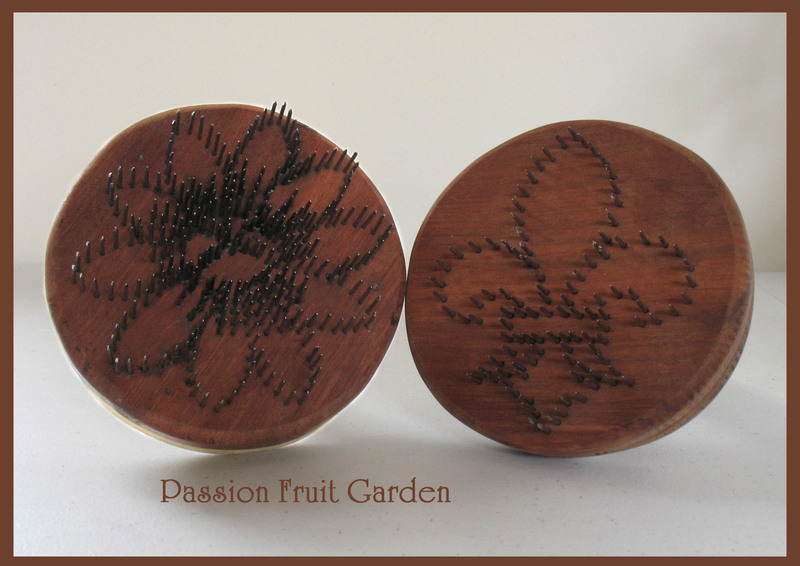 The one on the left is a passionfruit flower and the one on the right is a fleur-de-lis. I got the idea for them from a book called Flatbreads and Flavours by Jeffrey Alford and Naomi Duguid. The authors have travelled throughout Central Asia where bread stamps are used extensively. You stamp the centre of the bread to stop it ballooning and leave the outside to balloon. They advise that in Central Asia, the people individualise their bread by the stamps … so I thought I would, too. The designs are prototypes only. We have decided we need to take the points off the nails to produce bigger holes. That’s Maus’ next job. These wonderful jars of produce from my friends, Colin and Emily. Colin made the zucchini pickle on the left (which I am yet to taste) but am confident it will be delicious. Emily made the beetroot chutney on the right. It is the best chutney I have EVER tasted. It is based on a Rick Stein recipe. I have downloaded it and intend to make it one day but, in the meantime, I was delighted to receive this wonderful gift. Is my chapati maker. I am sure we all have something in our kitchens like this poor lost soul. It was a gift from my brother-in-law, Michael, pretty close to 30 years ago and it has never been used, that is despite the fact that I regularly take it out of the cupboard and think, “I must make chapatis with you”. About 2 years ago, I noticed that its liners had perished (from lack of use) so Maus replaced them for me. I have made chapatis once in 30 years and, as luck would have it, the chapati maker was in the south and I was in Perth. This beautiful little butter dish. I have a penchant for butter dishes and it appears my mum did too for I have several of hers, including this one. This little dish was made in England by Johnson Bros.
A packet (or rather, half a packet) of Freekeh which is roasted green wheat. I am a big Maggie Beer fan and she uses Freekeh in a number of her recipes. I have been wanting to make one for ages and I have been looking out for Freekeh for that purpose. Not so long ago, we were dining with my friend, Colette, and I noticed a Freekeh dish on the menu. I ordered it and it was quite pleasant. I told Colette the story and she said she would look out for Freekeh in Fremantle which has an array of foodie shops. The next time I saw her, she had this box which she bought from Kakulas Sister in Fremantle. It is made by Greenwheat Freekeh Pty Ltd, a South Australian company, so it has to be the same product that Maggie Beer uses (since she comes from the Barossa Valley in South Australia and loves to promote local produce). I made the recipe and the best that can be said for the dish is “it was edible”. That is no reflection on the recipe nor on the Freekeh but, more likely, my execution. Freekeh, I am sure, is very good for your constitution but I may have eaten a little too much. I think I will be using the balance in bread for which it should be perfect. 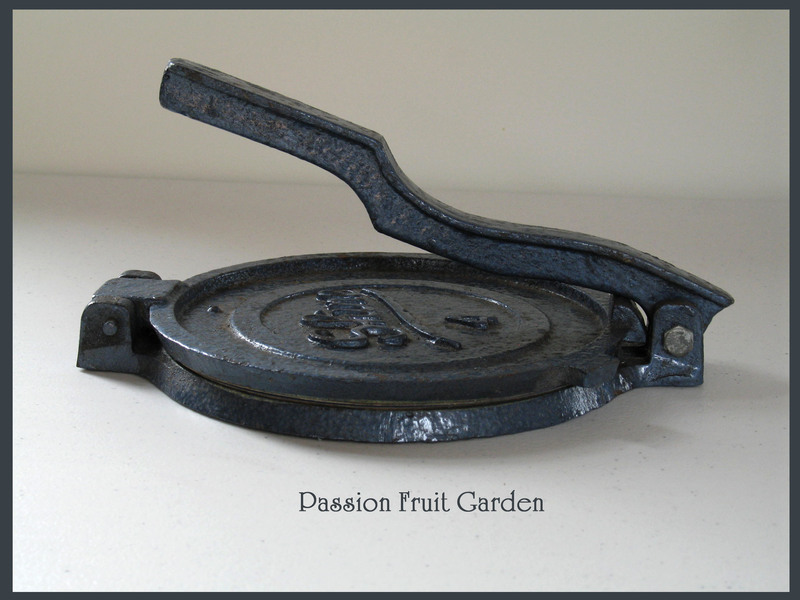 If you have enjoyed finding out what is in my kitchen, check out Celia’s blog at figjamandlimecordial. Celia hosts ‘In my kitchen’ and lists all other bloggers who participate. This entry was posted in In My Kitchen and tagged Alessi oil taster and pourer, Bread stamps, Chapati maker, Freekeh by Glenda. Bookmark the permalink. Aren’t the “In My kitchens” great fun? I love them too. Each time I look at them, I can’t help but smile. How beautiful is the olive oil taster? I remember seeing an Alessi olive oil pourer years ago. I should have bought it then as I have never seen it since! You must try chapati making again, they are so good to eat. I used freekeh once and that was enough for me, it smelt like rotting grass! What fun things you have in your kitchen. 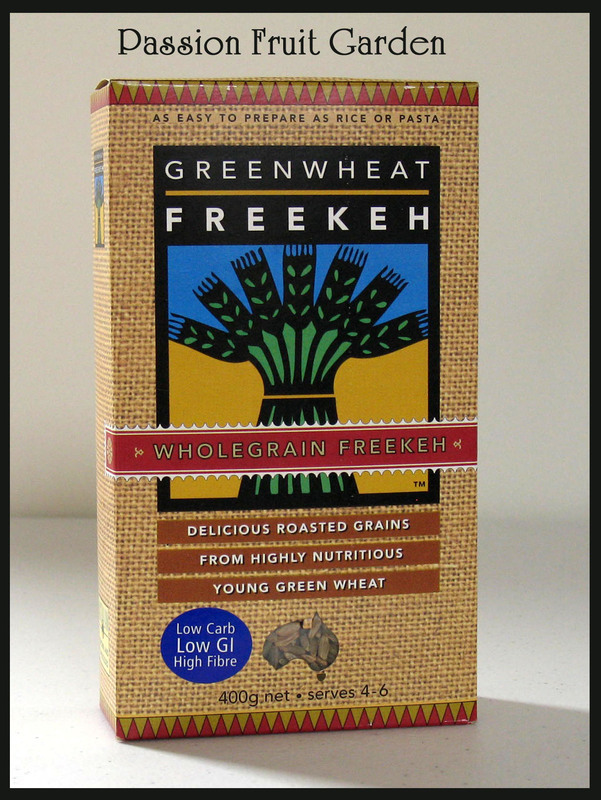 I quite liked the Freekeh but a little goes a long way. It is a bit like brown rice. I am on to the chapati mission. I honestly don’t know why I haven’t made them more often. I must check out your Alessi olive oil pourer and taster the next time we visit, it looks stunning. We purchased a really funky Alessi kitchen timer in Paris a couple of years ago and it only worked a short while, what a waste but your olive oil pourer, well that’s something completely different. We thoroughly enjoyed your sour dough bread for breakfast, it makes such fantastic toast. You really should be making chapatis Glenda in that great looking machine. Good luck with the sourdough M. Send me a picture of your first loaf. Thanks for hosting “In My Kitchen”. It is so much fun. You have so many things in your kitchen, I wonder, at times, how big it must be. I am lucky: I have 2 to fill and I am doing it with ease. Thanks for the hint with the Central Market. We will definitely go. I’m sure to buy something which I can post next month. I can’t help myself. 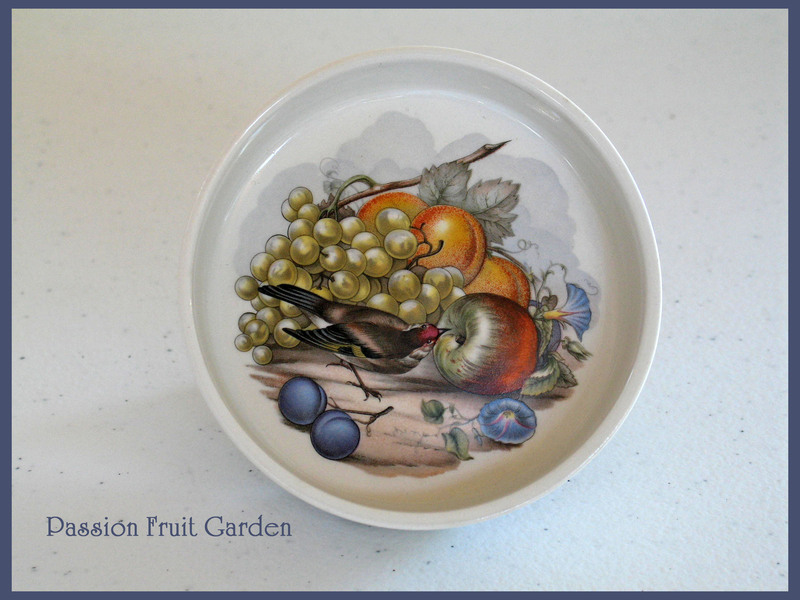 Glenda, you have such wonderful goodies in your kitchen! That pourer is stunning, isn’t it. The bread presses sound interesting. And the chapati maker, I will be watching for your recipe! Thanks. Yes, the pourer is divine. The bread stamps are such a good idea and not too hard to make (if you are not doing it yourself). The poor old chapati maker. What can I say? Your kitchen is filled with wonderful and lovely things. My favorite of everything is the bread presses. Those are fantastic! I would like to make one for myself- perhaps an anchor. Thanks so much for sharing your kitchen goodies! Thanks for your kind comments. If you make a bread stamp consider grinding off the points, that way you will get bigger holes in the bread. That is our next task. Also, choose a simple design. 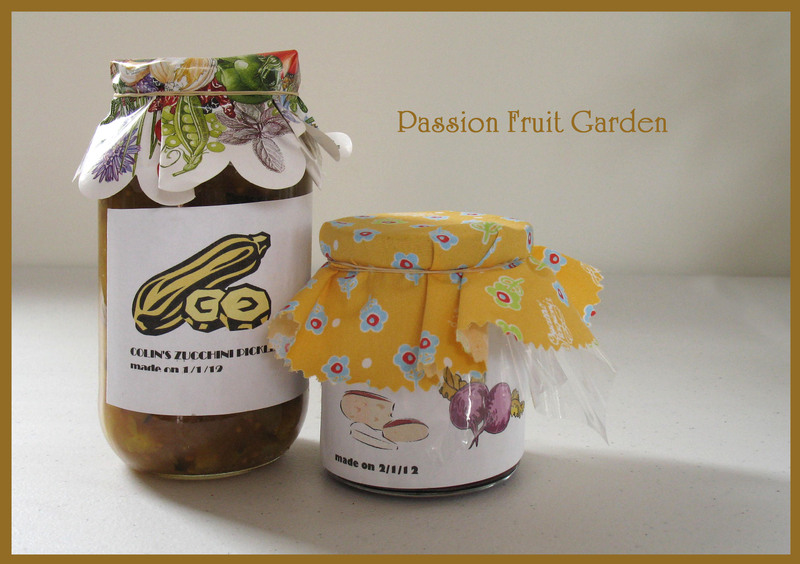 The passion fruit flower was a bit ambitious.